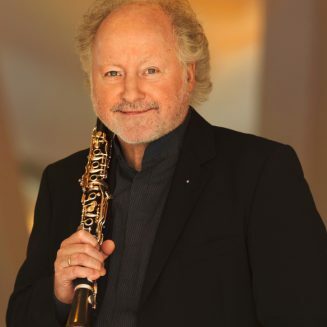 Walter Seyfarth (clarinet ) is native of Düsseldorf. At the age of sixteen he was a first prize winner in the Deutscher Tonkünstlerverband competition. Following his studies at the “Freiburger Musikhochschule “ under Peter Rieckhoff and under Karl Leister at the Berlin Philharmonic Orchestra Academy, he was appointed to the Saarbrücken Radio Symphony Orchestra 1975. In 1985 he joined the Berlin Philharmonic Orchestra as solo E flat clarinetist. He founded the Berlin Philharmonic Wind Quintet in 1988 and is also member of the larger ensemble ‘The Winds of the Berlin Philharmonic”. Among his teaching and mentoring responsibilities are the Berlin Philharmonic Orchestra Academy, the Jeunesse Musicales World Orchestra and the National System of Youth and Children’s Orchestras of Venezuela. He worked in the last 30 Years with the world leading conductors like Herbert von Karajan, Leonhard Bernstein, Lorin Maazel, Daniel Barenboim, Claudio Abbado and Sir Simon Rattle. His chamber music partners behind the Berlin Philharmonic Wind Quintet are Katja & Marielle Labeque, Daishin Kashimoto, Stephen Hough among others. Since 2012 he performs as soloist for the new Music Festival in Trancoso (Brazil).